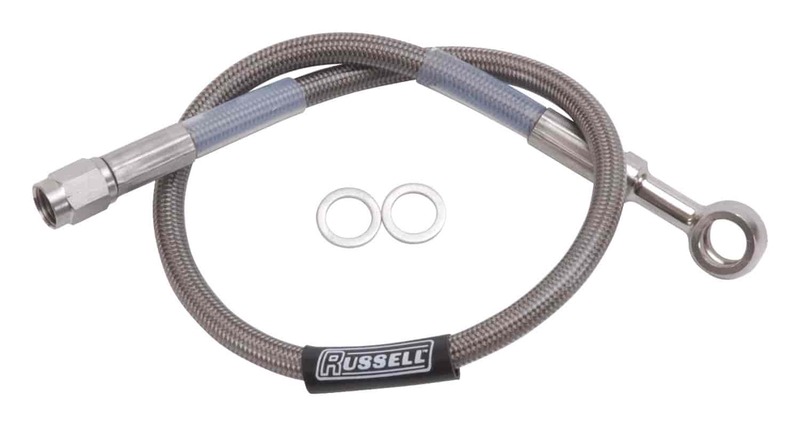 Designed for professional racing brake applications, Competition Brake Hose are constructed of stainless steel braided hose with zinc plated steel hose ends. The hose ends are factory precision crimped to eliminate leakage. The hose combines an inner PTFE resin liner with corrosion/abrasion-resistant stainless steel braid for maximum pressure up to 2500 psi. Hose assemblies are not legal for street use and do not meet D.O.T. requirements.